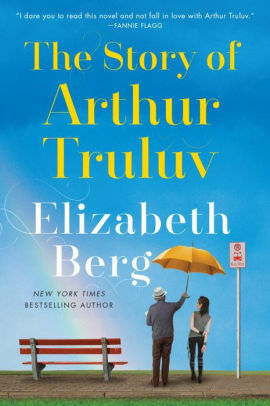 The Story of Arthur Truluv by Elizabeth Berg is a feel-good novel with life-affirming messages. 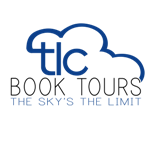 This is about three people who have lost someone, are lonely, but ultimately find companionship and a family with each other. "Arthur thinks that, above all, aging means the abandonment of criticism and the taking on of compassionate acceptance." Arthur Moses, eighty-five, lost his beloved wife, Nola, six months ago. His days consist of caring for his roses and Gordon the cat, and taking the bus to have lunch at the cemetery with Nola. Arthur is an optimist, but he desperately misses his wife. Quite by chance, Arthur meets Maddy, a high school student who will be turning eighteen soon. She skips lunch and classes to avoid her classmates. Often she goes to the cemetery where she sits and take pictures. Maddy's mother died shortly after she was born and her father seems to blame her for the death. Maddy craves love and acceptance. To make matters worse, her classmates relentlessly bully her. Once she and Arthur meet and form a friendship, she gives him the nickname Truluv. Across the street from Arthur lives his neighbor Lucille. She is a retired school teacher who often calls Arthur over to sit on her porch when she sees him. More importantly, she sends delicious baked goods home with him. Lucille lost her one true love in high school and is over joyed when he reconnects with her. When circumstances cause these three people to bond together, they not only support and help each other, they form an unlikely family of sorts. This is a wonderfully written, charming story of how people can help each other and form their own family through their friendship, compassion, and emotional support. Set in Mason, Missouri, a small town of five thousand people, The Story of Arthur Truluv has a small-town-Fannie-Flagg feeling to it. It is a simple story, but charming. There are not any shocking surprises - it is not that kind of story. And while there are some harsh and challenging things that happen, our characters are going to get through it. We know they will because it is that kind of story. You know it will provide positive messages and have a feel-good ending. And, you know, sometimes that is what you need. 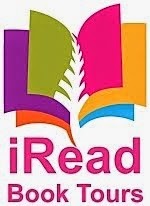 I'm #7 in line for this at my library. I can't wait to read it.